Operators have mastered the skills on the ground and are available and willing to take their skill set to the air. Operators learn to operate aerial baskets and broaden theirr skill set b working in and around the power lines or in challenging residential areas. Operators have obtained all of their testing proficiency and testing obligations. 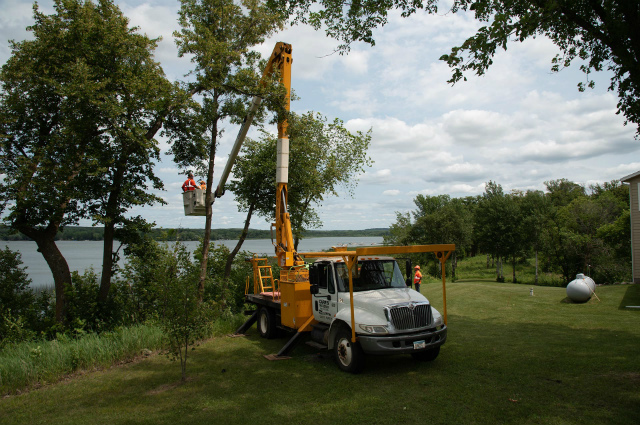 In order for an Operator to become a foremen they must work on obtaining their commercial drivers license(CDL) as well as a Minnesota Right-of-Way spray license in order to become a foreman. Operator goals and skills beyond testing include learning how to become a crew leader in hopes of becoming a foreman. The development of communication skills is a must as well as the ability to motivate, teach, and lead those around them. Although each Operator develops at a different rate these is always a proficiency and challenge out there to fulfill.